The southern Indian city topped Knight Frank's office-rent index with a 7% hike in rates in the three months ended June versus the quarter prior. Bengaluru, India's high-tech hub, notched up the steepest office-rental increases in Asia in the second quarter, according to Knight Frank LLP. 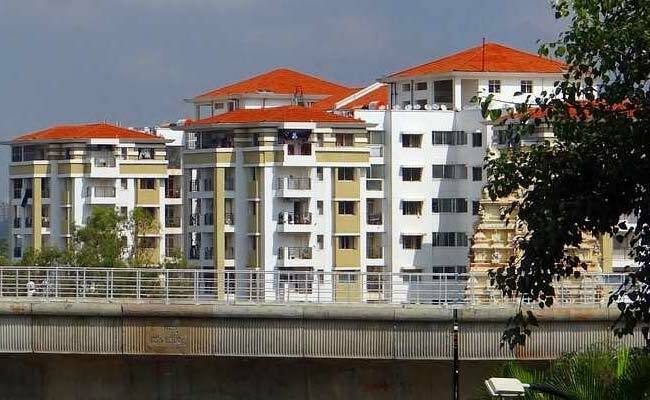 The southern Indian city formerly known as Bangalore topped Knight Frank's office-rent index with a 7 percent hike in rates in the three months ended June versus the quarter prior. Tight supply pushed up costs as large companies jostled for quality space, according to the report. Tokyo came in second with a 5.5 percent gain followed by Melbourne and Sydney. "Steady demand in the prime office market is expected to bolster rental growth for the second half," said Nicholas Holt, Knight Frank's head of research for Asia-Pacific. "Despite several headwinds, including tensions around trade, regional economic growth continues to fuel demand for grade-A office space." 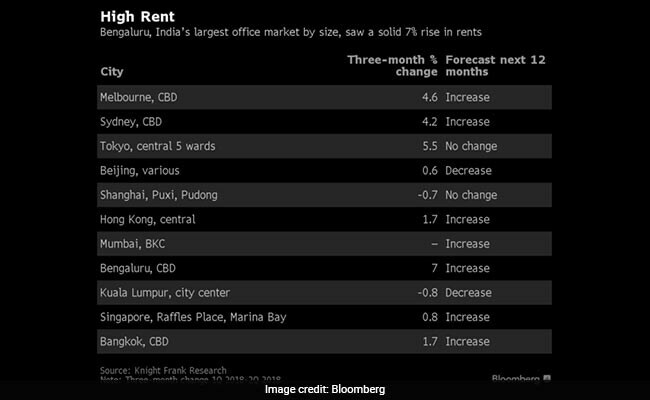 Office rents in cities including Sydney, Hong Kong and Singapore are expected to see marginal increases for the rest of 2018, while those in Tokyo, Shanghai and Kuala Lumpur will be flat to down.